December's Newsletter focusses on our Spanish and French Coastal holidays. Congratulations to J. Lord, London and C. Gerrard, S. Wales on winning copies of Anna Pavord's book Landskipping. The answer to the question was John Constable, though I have also accepted Turner as well. 5th Dec: Brochures have been sent out to recent customers and to people who have made recent enquiries. 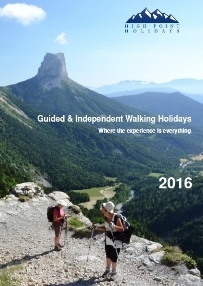 Other new holidays in the brochure include: Travels through Alpine Provence Part 1 and Part 2; Grazalema National Park and Alpujarras Valley Walk; Brittany's Granite Coast and Tour of Mont Viso. November's Newsletter takes a look at our Wine Trails. Brochure for 2018 is in production. New holidays to look forward to include a Bordeaux Wine Trail, new Brittany coastal trails and some Spanish walking holidays. 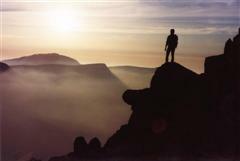 Book before the end of October to book a self guided walking holiday at this year's prices. See Special Offer page for full details and terms and conditions. New competition is to win a copy of Anna Pavord's book Landskipping. 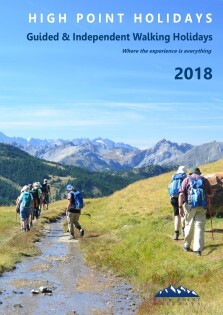 Our September Newsletter focusses on walking in the Queyras region of the French Alps, plus takes a look at some of this years testimonials. Sterling Price Changes: With the Pound to Euro exchange rate hitting a new low this week, we have made the difficult decision to increase our sterling prices for all our French holidays. Our holiday price in Euros remains unchanged at this point in time, as this price change is purely a factor of the Pound being worth less versus the Euro meaning we require more Pounds to cover the costs of goods and services in France. Congratulations to T. Jenner, Herts & L. Clegg, Yorks on winning copies of Tristan Gooley's book The Walker's Guide to Outdoor Clues & Signs. 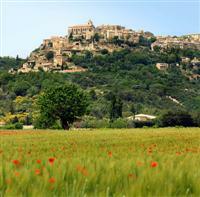 Our July Newsletter focusses on the Massif Central region of France. Our June Newsletter is available to view online and features our coastal walking holidays. Congratulations to I. Gibson, Scotland and J. Fossey, Nottinghamshire on winning copies of Cicerone's GR5 Trail Vosges and Jura guidebook. 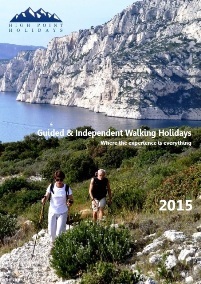 May's Newsletter looks at our short break walking holidays. April's newsletter focussing on the French Alps is available to view online. Our latest blog 'Going Underground' looks at some of the places where you can explore underground or visit caves on our walking holidays. Congratulations to C. Duck, Cheshire on winning a year's subscription to France Today magazine. Our latest blog again takes a look at the links of the Saxon Kingdom of Wessex with a town that features on our Wonders of Wessex walking holiday. This time it's the turn of Wilton in Wiltshire. We have a new competition to win a copy of Cicerone's guidebook to Trekking the GR5 Trail Vosges and Jura. February's Newsletter is available to view online here. It takes a look at our Wine Trails, including the new Cote du Rhone Wine Trail. Congratulations to I. Michael, Bath and J. Pronk, Glasgow on winning copies of Cicerone's guidebook to Trekking the GR10 Trail. 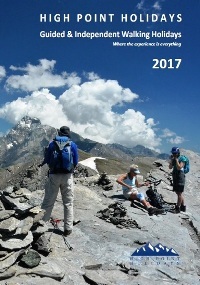 January's Newsletter focussing on the Queyras is available to view online. New competition to win a subscription to France Today magazine. Happy New Year to all our customers....past, present and future! Just a reminder that our brochure for 2017 is available to view online here as well as to order a copy.